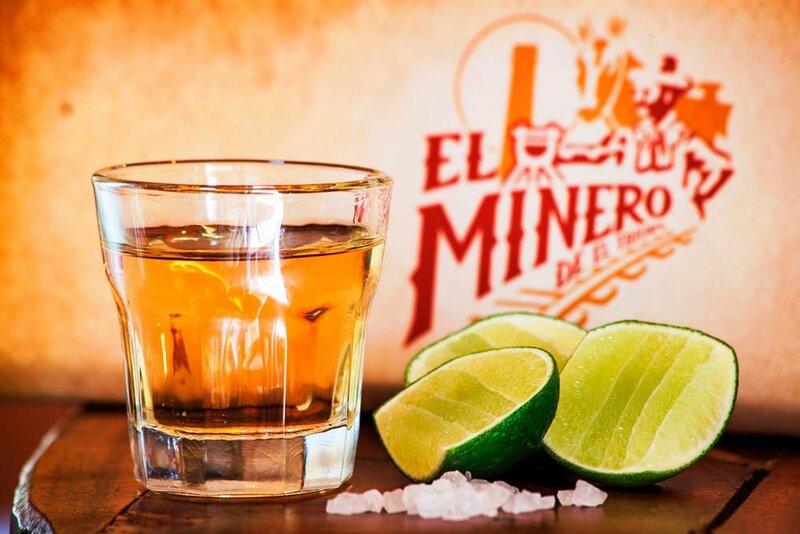 Bar El Minero is located in the old gold and silver mining village of El Triunfo, in the mountains of Baja California Sur, Mexico. 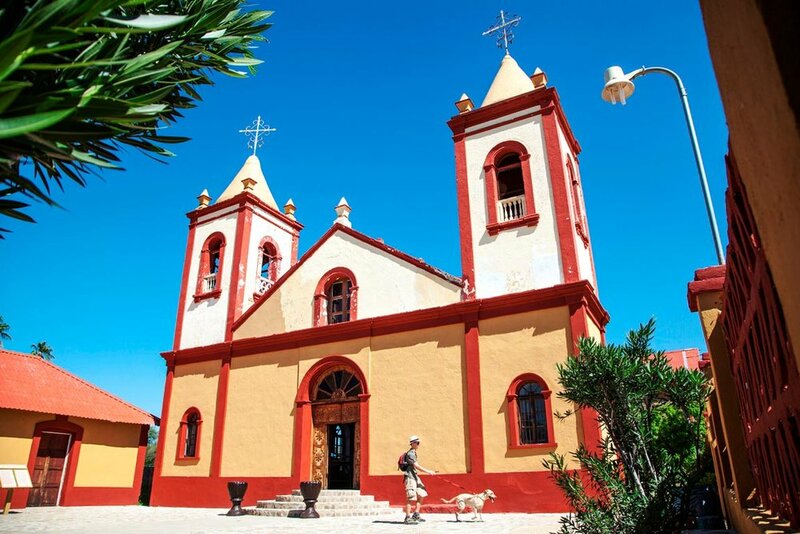 Filled with history, this peaceful village is only an hour drive from La Paz and Todos Santos, and a two-hour drive from Los Cabos. We opened our restaurant doors to the public in the spring of 2015. 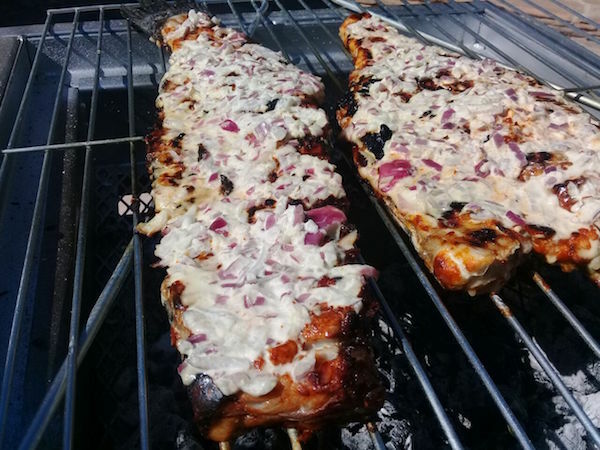 Our menus feature a few signature items such as homemade sausages, fresh seafood, paella, artisanal cheeses, homemade condiments and old-fashioned draft root beer floats. We also proudly offer a selection of draft Baja Brewing beers, quality wines, tequilas, mezcals and house cocktails, including two types of margaritas. Our large outdoor patio courtyard is a relaxing spot in the heart of the village to enjoy a meal and take in the serene views of the surrounding hills. Shaded tables among mesquite trees and other plantings offer a prime vantage point for admiring the 19th century Ramona and Julia Chimneys. In the center of the courtyard, the bronze sculptures of Sofía and Juan Matute (see photo below) bring local history to life and entice a surprising number of visitors to grab a traditional sombrero, climb into Sofía's saddle and have their photos taken. 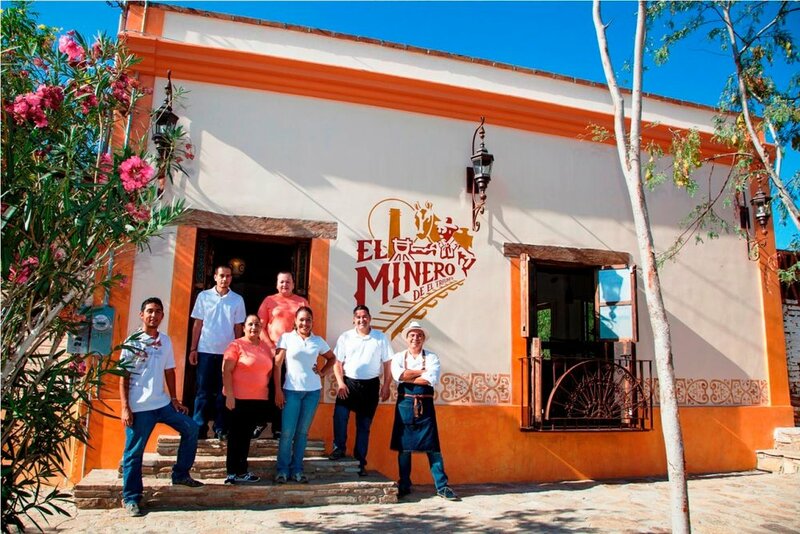 We look forward to welcoming you to Bar El Minero, and to Museo Ruta de Plata, our newly opened historical mining museum! Chef Felipe offers three types of delicious sausages, each made from scratch with regionally sourced, quality ingredients, such as lamb from a nearby ranch, pork from Sinaloa, beef from Sonora, mushrooms, herbs and spices. 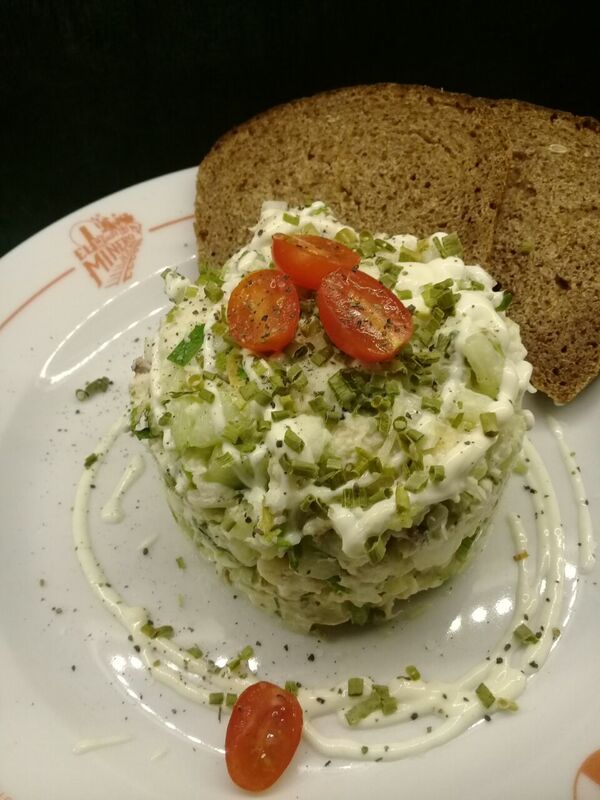 We also offer a refreshing, lightly seasoned totoaba fish salad and other seafood dishes such as grilled totoaba and raw or grilled oysters. We use fresh, local, natural, organic ingredients as much as possible, mostly from Damiana Farms — our own gardens, ranches and creamery — at nearby Rancho Cacachilas, and from Earth Ocean Farms and Sol Azul. Our homemade sausages can also be bought by the kilo to cook at home. Please note that menu items and prices are subject to change, depending on availability and demand. Please contact us to arrange special orders with a week's advance notice. Every Sunday, in addition to our daily menu, Chef Felipe creates a savory rice prepared with shrimp, mussels, squid, bay scallops, pork, chicken, chorizo sausages, vegetables and saffron. Guests are welcome to watch as the paella is cooked slowly to perfection over an outdoor mesquite wood fire. 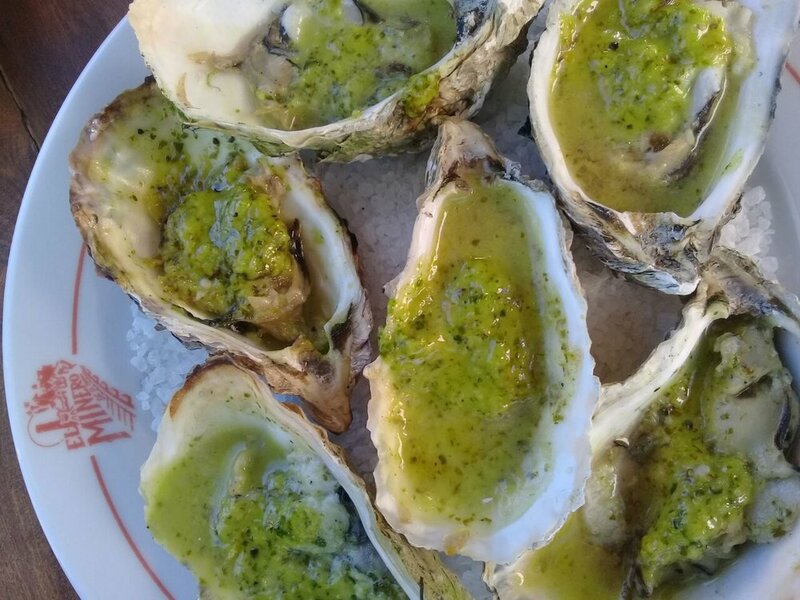 Served with a garden salad, bread and sangría, this award winning dish** is not to be missed! ** Chef Felipe's paella won the 2015 Annual Free-style Paella Competition organized by the National Chamber of Restaurants and Food Industry of Mexico¨ (CANIRAC) in La Paz , Baja California Sur. Including 20 competitors and more than 350 visitors, the event took place on October 24th, 2015. Founded c. 1862, El Triunfo is considered to be the third oldest mining town in B.C.S. Historical records indicate that mining exploration had already begun in this area as early as 1768. The sculptures of Sofía the mule and Juan Matute the surveyor that are located on our patio take us back in time to those days when surveyors, engineers, miners, mules and horses crowded the streets of the village. Learn more about these works of art on the sculptures page of our sister website, Tenaja Holdings. Discover more about the settlement of this region on our Museo Ruta de Plata website, and by visiting the adjoining museum itself. El Triunfo makes for an ideal day-excursion for the entire family. Stroll through cobblestone streets, relax with a coffee, admire the architecture, discover a couple of shops and museums, visit the French, Chinese and American cemeteries, walk across the old bridge, explore the park and ruins surrounding the Ramona and Julia Chimneys, and fortify yourselves with refreshing drinks and a delicious lunch or dinner. Feel like some exercise? Bring your mountain bike or hiking shoes to tour the town and the surrounding country trails. In 2012, Tenaja Holdings purchased the 19th century premises shown below and began renovating the buildings and grounds. Preserving details of historical and aesthetic value, our team of architects, engineers and interior designers transformed the site into the restaurant and museum it is today. Open six days a week from 11 am to 5 pm | Paella on Sundays from 1:30 pm onwards.